« Why Do We Listen Like We Used to Listen? 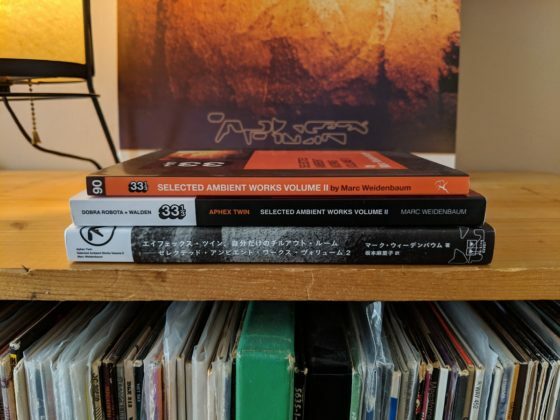 I just today received copies of the brand new Japanese translation of my book on Aphex Twin’s landmark album Selected Ambient Works Volume II. 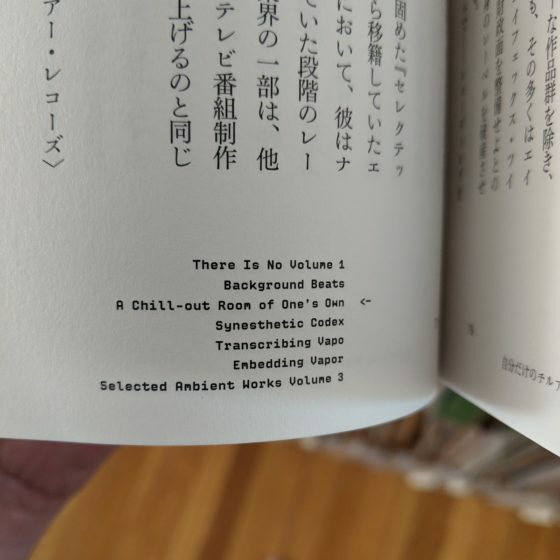 My book was published in 2014 to coincide with the album’s 20th anniversary, and the Japanese translation arrived this year to coincide with its 25th. This is especially a thrill because I spent many years working in manga, helping shepherd the translation into English Japanese comics. I was the editor-in-chief of the English-language edition of the major Japanese manga magazine, Shonen Jump, and of its sibling, Shojo Beat, and as a vice president of their publisher, Viz Media in San Francisco, had the opportunity to meet and interview many major manga creators, including Masashi Kishimoto (Naruto) and Akira Toriyama (Dragon Ball). It’s very nice to be now have sent my own book in the opposite direction. 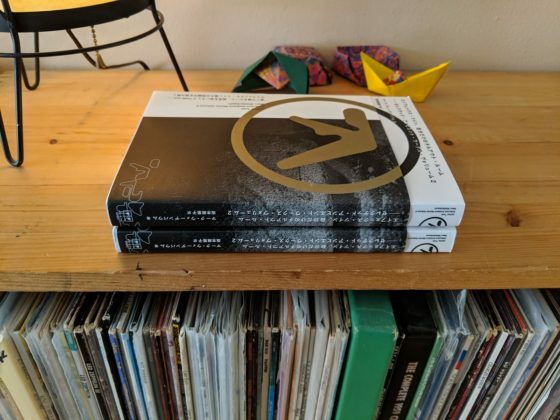 The edition is absolutely beautiful, with a wraparound cover partially obscuring the classic Aphex Twin logo, and lovely details throughout — in particular, note how there is a little table of contents on the bottom of each left-hand page, with a tiny arrow showing you which chapter you’re in. 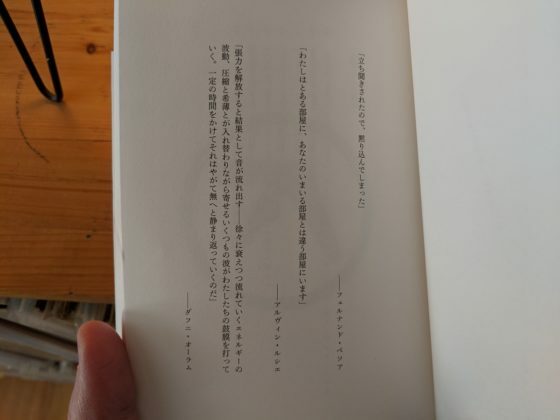 The Japanese book is considerably larger than the original English book (top), and even than the recent Spanish edition (middle), which came out in late 2018. 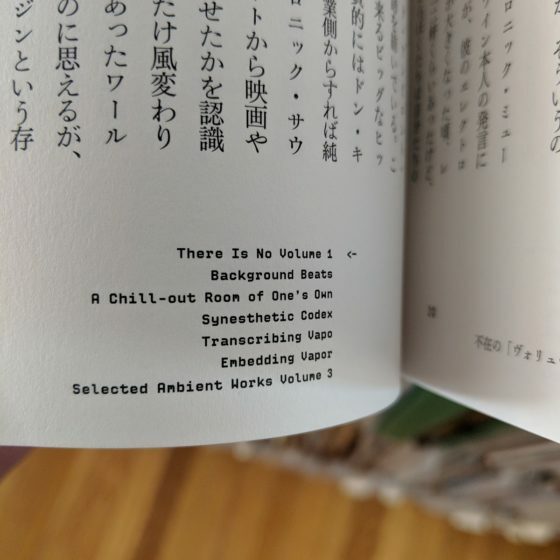 I’m not aware of any planned additional translations, but these sure make me happy.